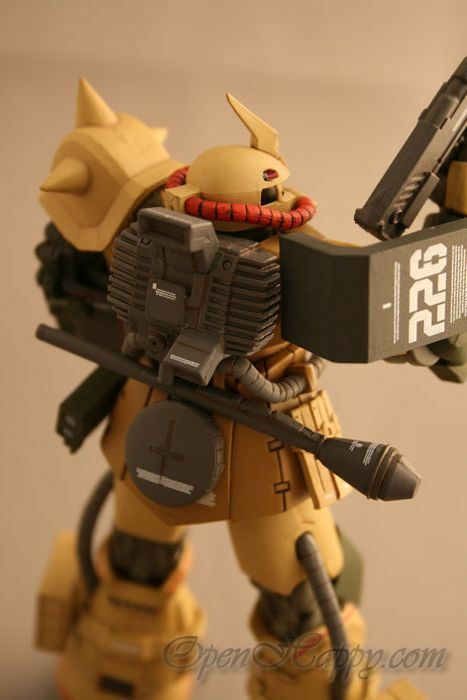 Zaku Desert Type is one of the variants of its standard Zaku II mobile suit to operate in the varied and sometimes harsh climates on Earth.Initially developed at Zeon's California Base, the Zaku Desert Type was designed for Earth's desert and tropical regions, and was first field-tested in North Africa by Major Roy Greenwood's Karakal unit. 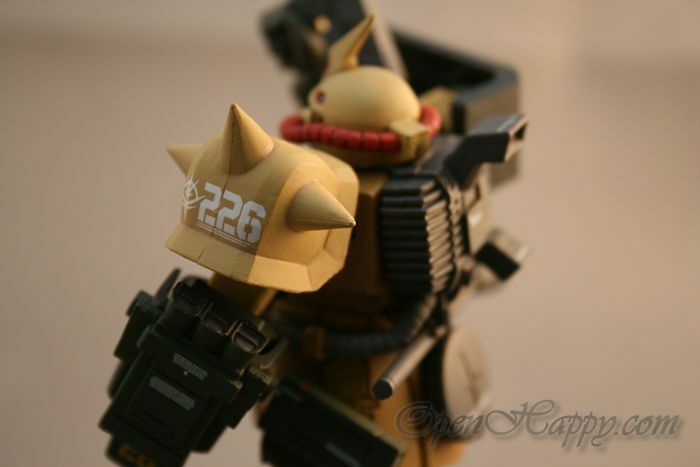 This is a 1:144 zeonography Figuration 3005a Zeonography Zaku II F2. 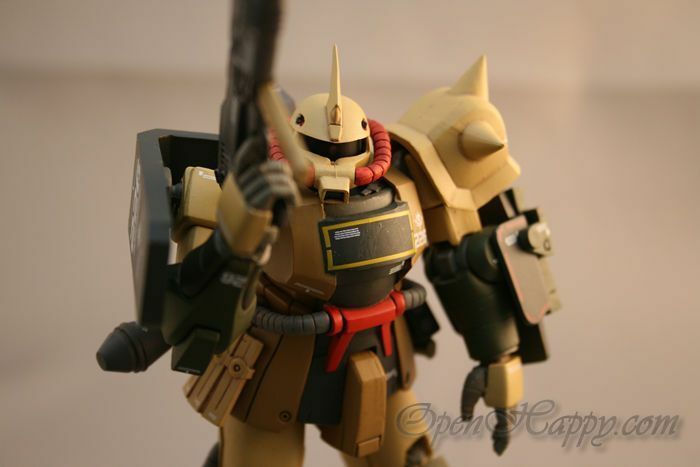 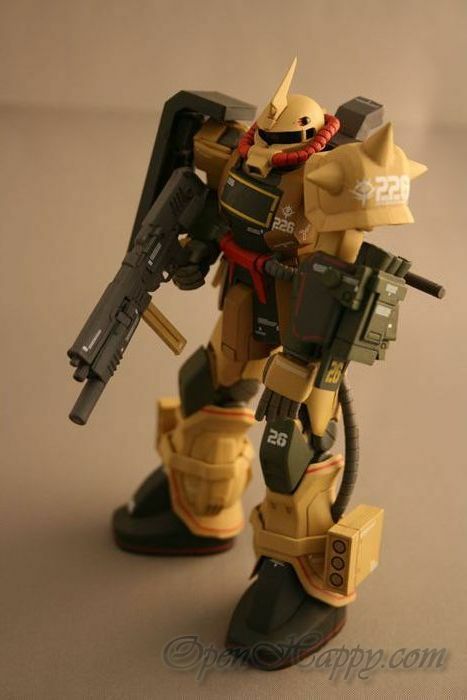 Additional armor and weaponry are included to allow you to dress up the MS-06F2 as the MS-06D (Zaku II Desert Type). 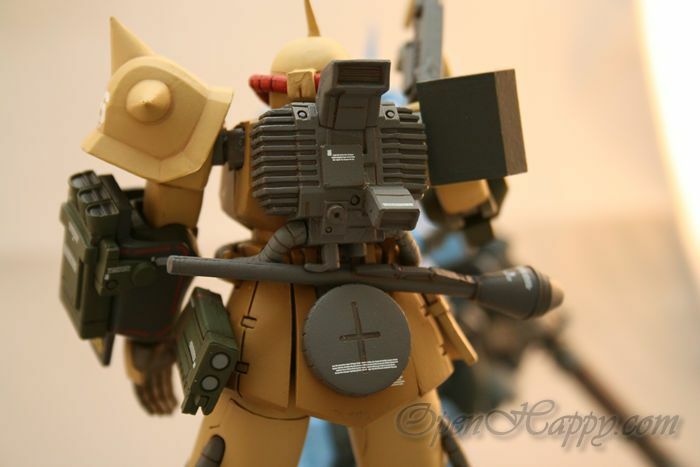 Weapons include Sturmfaust, Zaku machinegun, missile pods, etc. 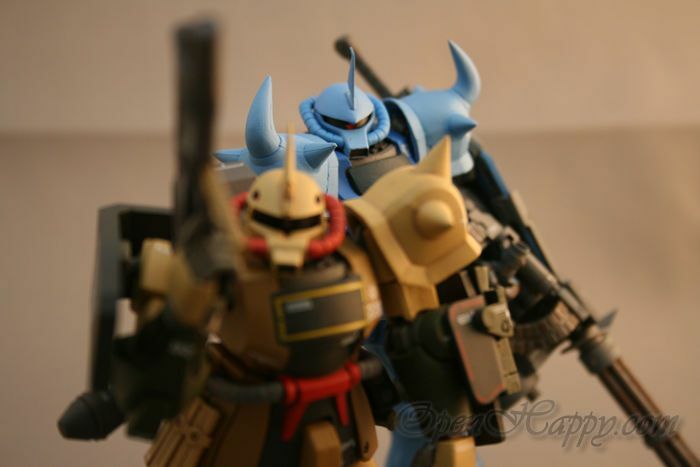 It is real fun. 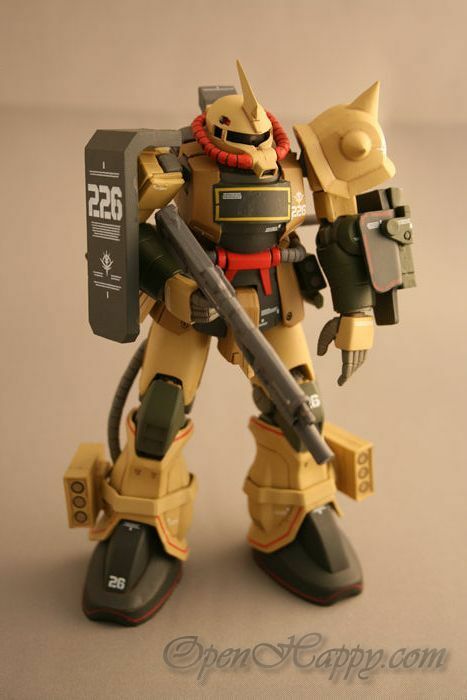 Type D includes the replacment of the standard thruster-laden backpack with a special heat-dissipating radiator backpack, jet thrusters added to the legs and skirt armor area to provide additional mobility. 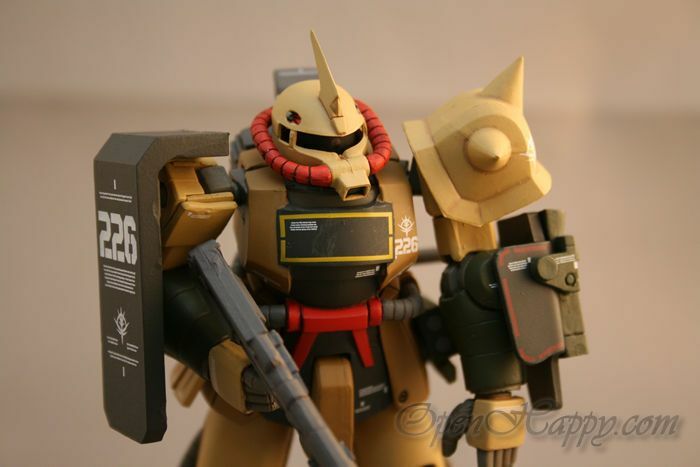 With additional power and armor to top off the modifications, the D-type Zaku becomes highly effective in the climate. 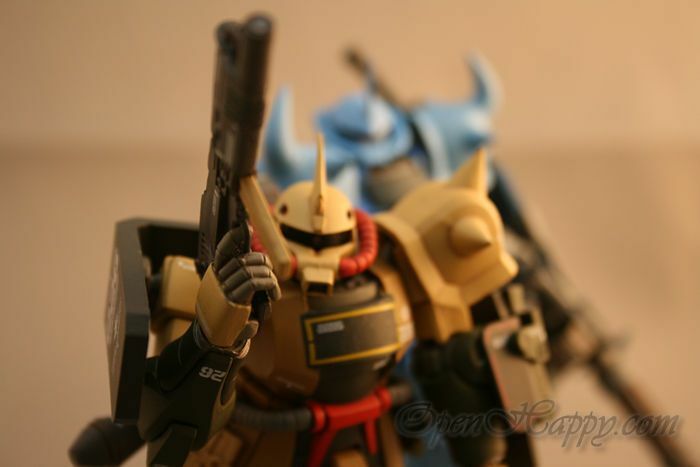 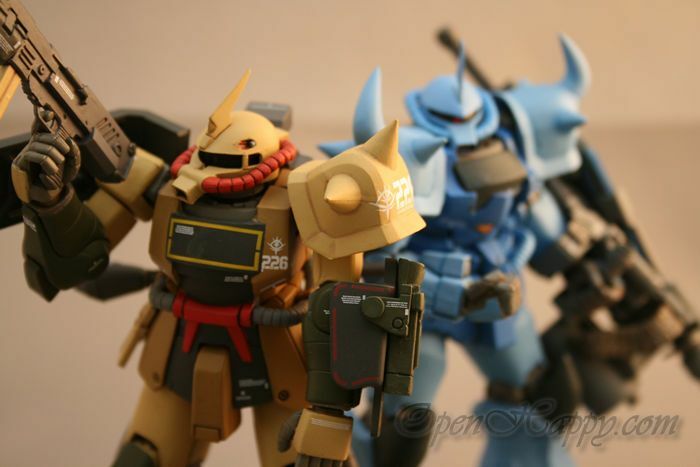 If you are a zaku fan. 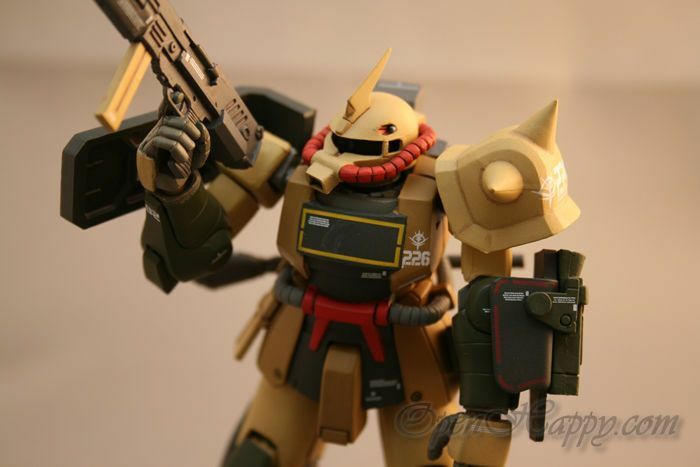 It is indeed a very good variation of the machine.